New Zealand, French and Australian wines appeared at the table of a recent royal birthday party. Curtis Marsh goes behind the scenes.? Queen Elizabeth II officially celebrated her Birthday on June 17th, although you would hardly identify Her Majesty as an octogenarian, with her ageless demeanor and commanding charisma. In her Birthday address, the Queen quoted Groucho Marks, “Anyone can get old – all you have to do is live long enough”. The Royal event was celebrated with a four-course lunch at Mansion House, in which top Chefs from all over England had competed in a BBC show to design the menu, presenting dishes that were then voted on by the public. There is no report on how the wines paired with each course were selected however there is notable good taste and diplomacy employed. When you consider the thousands of appropriate wines available, to be chosen for such a grand occasion is indeed a great achievement. Patriotism to the fore, the aperitif was Ridge View Merret Grosvenor Blanc de Blancs from Sussex, England, recently decorated with the International Wine and Spirit Competition Trophy for the Best Sparkling Wine in the World. The Commonwealth was in part represented by Te Mata Estate, New Zealand’s oldest winery dating from the early 1890s. The entree of smoked salmon with blinis was paired with its Woodthorpe vineyard chardonnay, home to the historic Woodthorpe horse races held between 1863 and 1914 as depicted on the label, and presumably acknowledging Her Majesty’s admiration for the sport. With the main course, loin of venison was served with the majestic Chateau Margaux, perhaps a salute to France’s past consanguinity with English royalty, Queen Elizabeth also being fluent in French. New Zealand’s older Commonwealth cousin Australia, in contrast to its large corporate winery image, was represented by the exemplary boutique- size winery Mount Horrocks from the Clare Valley, South Australia, with its unique dessert wine, Cordon Cut Riesling, perfectly paired with custard tart. Mount Horrocks Cordon Cut Riesling had already received the royal nod, having been served to the Prince of Wales and Duchess of Cornwall at Opera Australia’s 50th anniversary gala in April. I am surprised there was enough of this hand-crafted wine, made in minuscule quantities, available for these two functions, surely soaking up the annual allocation for all England. Despite finite quantities, you will find Cordon Cut on the wine list of some the world’s best restaurants, whether it be in pole position on Jamie Oliver’s concise wine list at Fifteen or matching the four course dessert finale of the degustation menu at Tetsuya’s in Sydney. Talented chef Charlie Trotter chose the 2001 Cordon Cut to match a dish he prepared for his 15th anniversary dinner. Riesling is eponymous with the Clare Valley, however owner winemaker Stephanie Toole achieves quintessence by a unique method she has trademarked Cordon Cut, which involves cutting the canes from the main stem when the grapes are fully ripe, leaving the fruit to concentrate and raisin naturally on the vine. The process is extremely risky, as there is no turning back if the weather turns foul during this extended “grape hang time” with the real possibility of losing the entire crop. There is a distinct similarity in Cordon Cut to German Auslese Riesling with a creamy, yet racy viscosity, intense flavor and vibrant acidity. However, unlike most German Auslese, Cordon Cut is not reliant on botrytis cinerea infection for its sugar concentration and displays a purer fruit character. It should be noted that Cordon Cut is inarguably the equal of top German Auslese, yet a fraction of the price. The current vintage Cordon Cut, 2005, is a classic with no botrytis, its floral, limey riesling aromas lifted among honeysuckle, vanilla and spice. It is lusciously sweet without being at all cloying, with intense orange and mandarin sweet and sour flavors liaised with clover honey and spice, balanced by zingy acidity. It is undoubtedly one of world’s leading dessert wines and a brilliant match with lemon tart, and Alsace-style apple or stone fruit tarts. The term dessert wine is rather ambiguous. Too often wines that are overtly sweet completely overpower the dish. Lack of acidity is also an issue, always the key ingredient to freshening the palate, more so where sugar is concerned, which can easily cloy up the mouth. Cordon Cut exemplifies the necessity of this sweet and sour synergy in matching wine with desserts. Readers of my last column, “When Thai meets wine” may have thought I lapsed in not suggesting a wine to pair with Thai desserts. However, I intentionally deferred the subject to include in this article, as Cordon Cut is a sublime match to the delicate nature of Thai desserts, especially the traditional fresh tropical fruit platter. It also picks up on the nuances of jasmine perfumed water, and it has a textural harmony with scented custards or creamy coconut sauces. Moreover, Cordon Cut is not just a wine to pair with dessert; it can be a most refreshing aperitif, served well chilled, just sipped on its own, or with cold meat cuts, pates and terrines. It is also most useful as a palate reviver, as is German Auslese, a well-known wine trade antidote for palate fatigue after successive brackets of red wines. 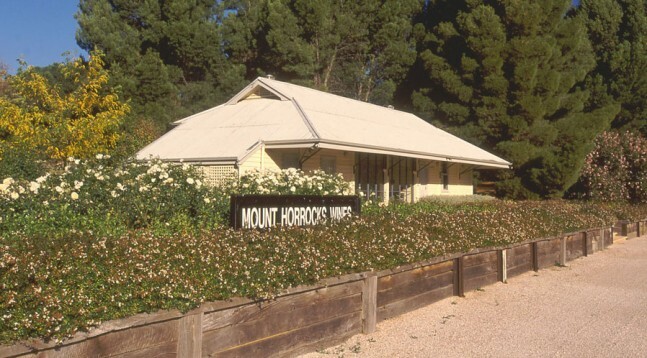 However, Mount Horrocks is not just about Cordon Cut. Indeed every wine that Toole makes is distinctive and of impeccable quality, in high demand globally. Her Watervale riesling is a vibrant, juicy lemon-lime accented, bone- dry style, with flinty, chalky mineral notes from the 750-800 million-year- old limestone base and slaty siltstone topsoils of the Watervale subregion. 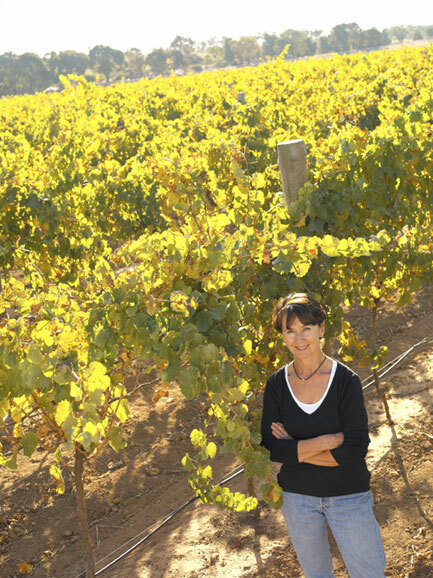 The sleeper in her range is the barrel fermented semillon, made in tiny quantities and unequalled in Australia. A tightly bound, lemon-scented wine, the oak so subtle it is hardly perceptible, although contributing greatly to the soft textural quality. Rarely is this wine seen offshore, snapped up by local restaurants and rapidly evaporating off the wine lists. Then there is her shiraz, poles apart from the typically brazen reds from the Clare Valley with a silky elegance and close likeness to Cote Rotie; inky and briary with wild dark berry fruits, black pepper and Asian spices. Unfortunately, Mount Horrocks wines are not available in Hong Kong, China or South-East Asia; indeed it astounds me that a winery of such high caliber and noble calling does not have an importer, a situation that clearly needs to be rectified and a hot tip for merchants throughout the region. You can however source the smartly packaged 375ml bottle with screw cap 2005 Cordon Cut for 14.49 (about HK$210) through well-respected London wine merchant David Gleave MW at Liberty Wines, e-mail: customerservices@libertywine.co.uk. Or for A$32 (about HK$190) through East End Cellars in Adelaide – www.eastendcellars.com.au. Both can arrange airfreight or local cellaring. Hong Kong Standard Weekend Magazine, All Rights Reserved.